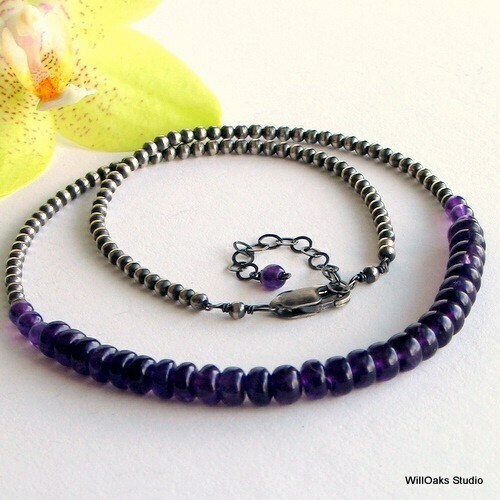 A cluster of smooth purple amethysts at the front of a sterling necklace finished with my handmade beaded "special chain." 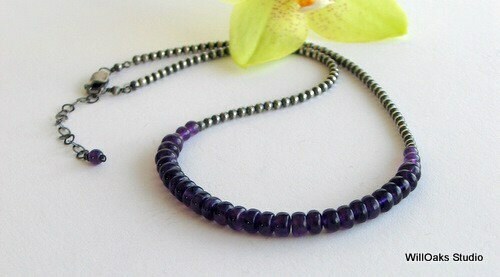 The color purple comes naturally to this distinctive gemstone choker which is part of my "Special Chain" series. 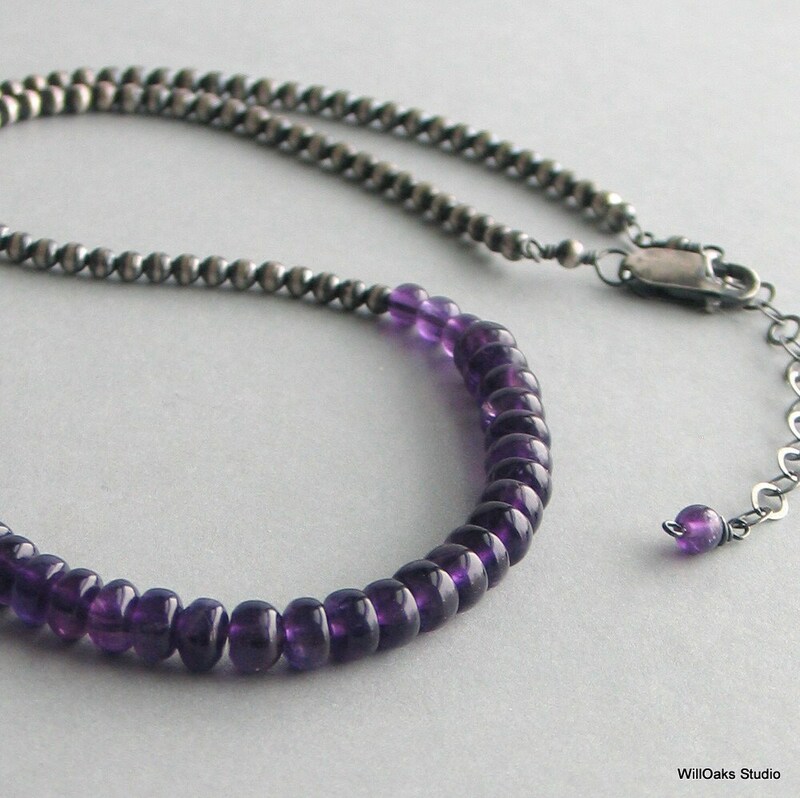 Oxidized sterling silver is selectively buffed to create a unique beaded "chain"-a play on light and dark-which adjusts from 16 1/2" to 18 1/2" long, closing with a sterling clasp and an extension chain. A final amethyst dangles from the end of the extender. The amethyst cluster is about 6.5” total length. 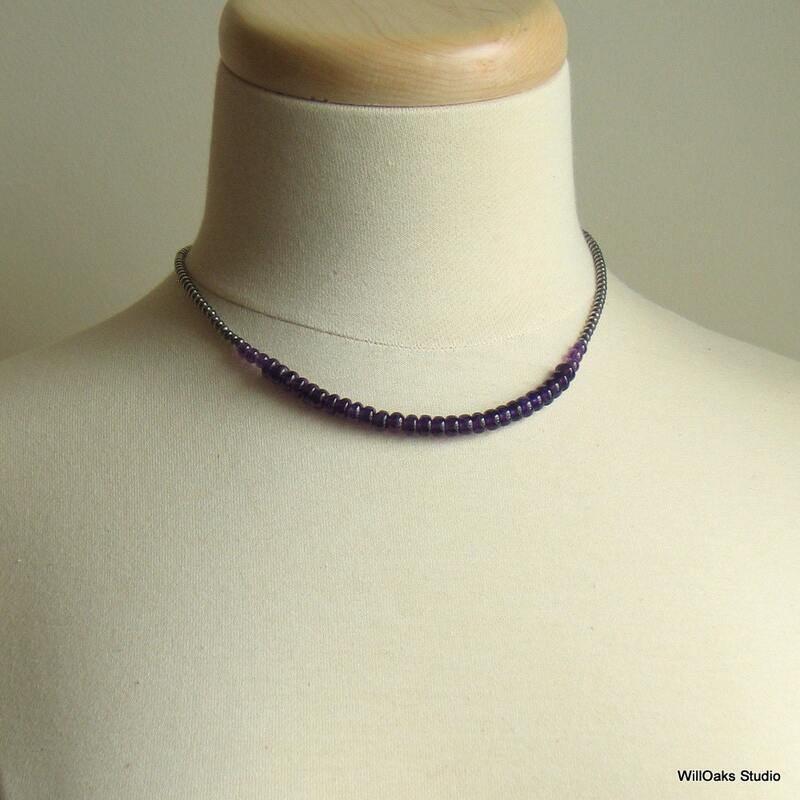 This demure, very comfortable design works well with many different necklines and the natural amethysts are a deep, bright transparent purple. Lovely worn shorter or longer and perfect as a layer. Conceived and designed to become an heirloom with top quality materials. 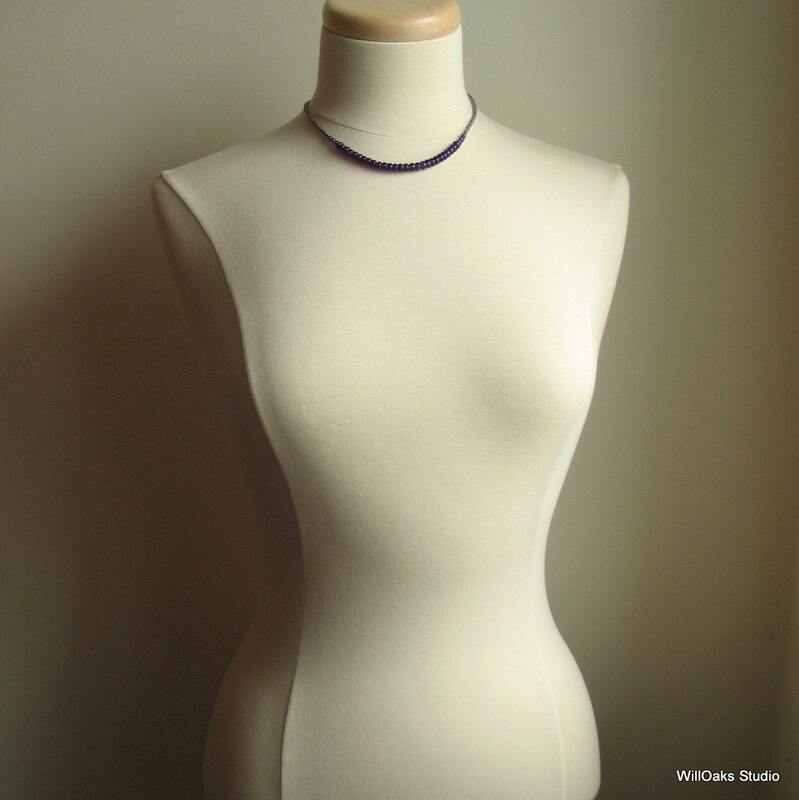 Enjoy wandering around my shop https://www.etsy.com/shop/WillOaksStudio? and leave me a note with any comments or questions!! Thanks for stopping by. Cool design, excellent quality and speedy shipment !